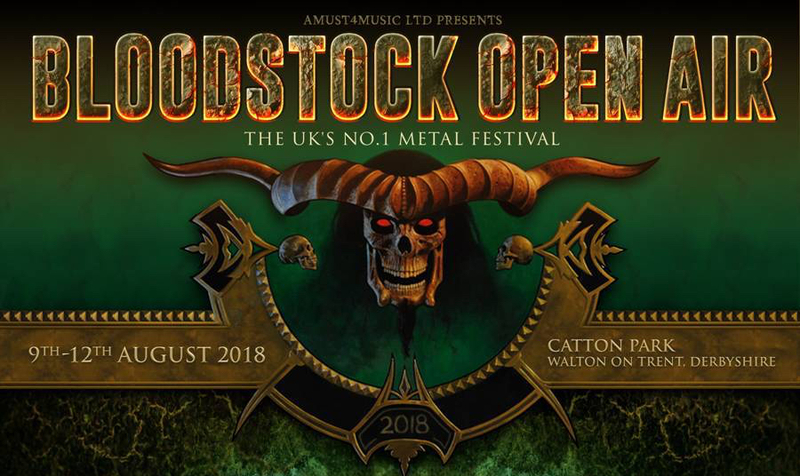 With the arrival of Halloween this week it seems that the Bloodstock powers that be have deemed it appropriate for four more bands to be revealed and rest assured they’re just as macabre as you might expect! It’ll be incredibly interesting to see what Watain will be cooking up for us with the release of their new album on January 5th via Century Media, its sure to get the year off to an explosive bang. Whilst German Power Metal troupe Orden Ogan will also be performing at the festival, they too will be joined alongside Combichrist and finally Memoriam. Who for those who might not be familiar, are a combination of ex-Bolt Thrower and Benediction members, simply put, its going to be seriously killer to see the band live. You can of course purchase standard tickets at the link below however there are also Rock Society tickets which will be available Halloween at 9:00am. Not only offering a 10% discount on the festival alongside all sorts of other benefits the likes of priority signing, access to the Serpents Lair VIP bar, laminate a dedicated hang out area and a change to meet the organisers of the festival and so much more! However, there is a catch, there’s only 300 and are priced at £75 they’re expected to sell out almost instantly. So make sure you’re on it like sonic!